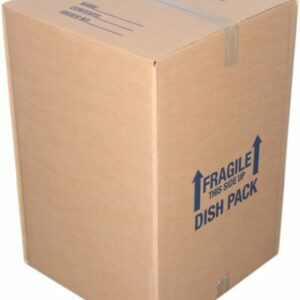 The 4 bedroom moving kit contains an assortment of moving boxes and moving supplies. It has everything that you will need to pack up your home and get ready for the big move to your new home. 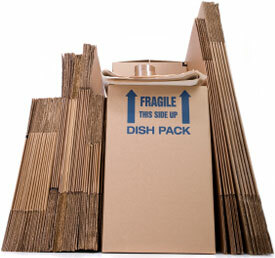 Carefully package your bulky, light items in large boxes. 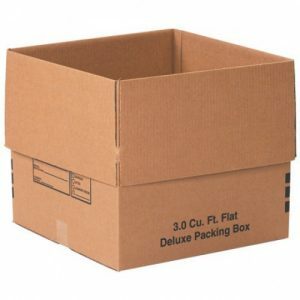 Small boxes are good for heavier items like books and tools. The 4 bedroom moving kit does not come with any mirror/picture boxes, which are great for packaging up everything on the walls. The mirror/picture boxes are sized to fit, so you can create a custom fit box for every wall hanging. Carefully wrap your picture or mirror in newsprint or paper pads before placing it in the box. 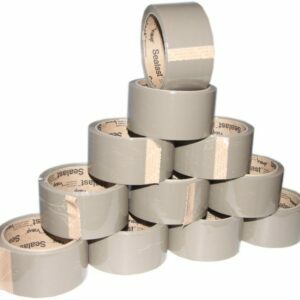 Then secure it with tape.